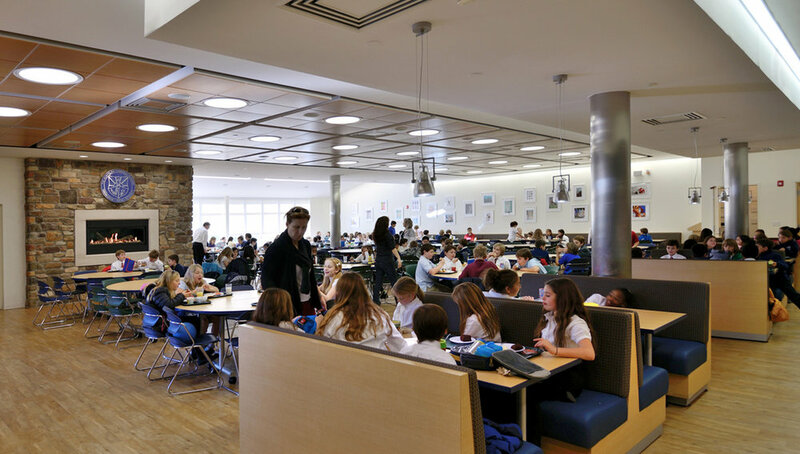 The renovation and expansion of Montclair Kimberley Academy’s Middle School Dining Hall is part of an ongoing initiative to update existing facilities and to reinforce the MKA image and brand at its three campuses. The renovated space features a new kitchen with expanded food preparation, cooking and storage capabilities. A newly designed servery improves flow and efficiency, while accommodating a wider choice of culinary selections for students and staff. New furnishings, including booths and provide a variety of seating options. 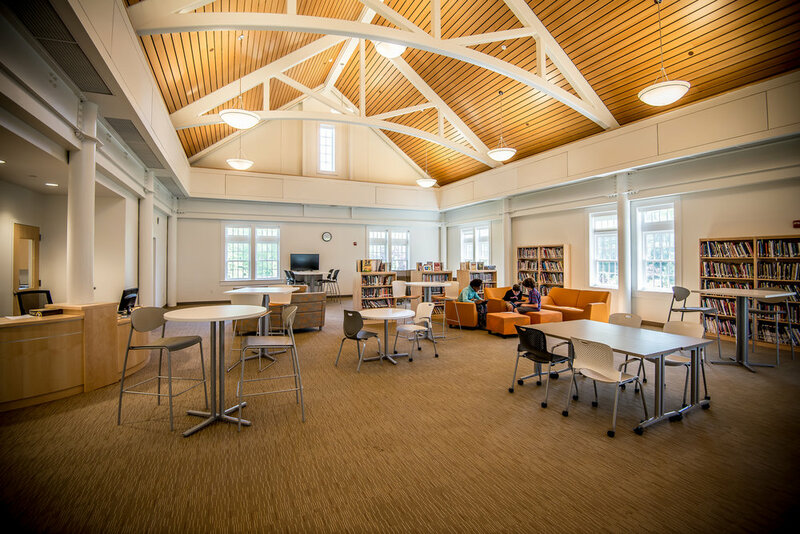 Completely new interior finishes are drawn from a palette of materials that were established during NK’s development of the school’s master plan, and were recently implemented within the adjacent entry lobby. The materials, which include natural woods and stone, convey an upscale appearance, yet are appropriately durable and easy to maintain. When employed at each of the school’s three campuses, the new interiors will reflect a cohesive and identifiable aesthetic for MKA.